I’ve never made a lentil curry before, but this recipe from Simply in Season, with coconut milk, red lentils, cauliflower, sweet potato, cabbage and frozen peas, was calling to me. 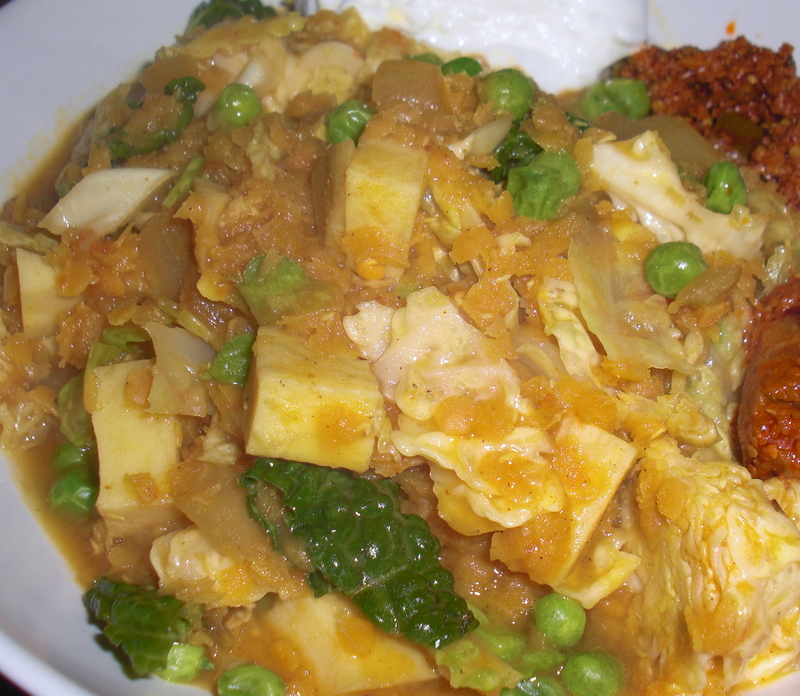 Like a traditional dahl, this curry cooked into a very soft, comforting almost-stew, bit a little bit of bite in the cabbage. The flavor was complex and relied on a mix of spices (tumeric, curry, ginger, cinnamon, cumin, red pepper and bay) rather than an average “curry powder” mix. The only downside – the recipe feeds 8 – 10 people, something I only noticed after I made it. My roommate benefited from the plenty, and we ate it all week with greet yogurt and indian pickles. Thanks, I am going to try soon.